This is to inform you that you have emmerge a lucky winner in the GNLD SEASONAL PROMOTION, with Reference Serial Number: M7-4038-581 and Batch number 502/1120/GSP. 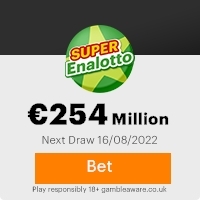 Your email address was attached to the ticket number: 30-87-34-32-49-01 which drew our lucky winning numbers, which consequently won the GNLD SEASONAL PROMOTION Jackpot in the first category. You have been approved for a payment of Seven Hundred and Fifty Thousand,forty Two Pounds sterling only in cash credited to file reference number: GSP/04524568/02354/0010. please contact your fudiciary agent immediately via the email below and provide him with your personal information. Previous: ***Congratulations Cal ... ns***Fresh ScamsNext: CONGRATULATION !!! MIC ... NER . This Email with the Subject "Your Email Address Has Won!!! ***Congratulation***" was received in one of Scamdex's honeypot email accounts on Tue, 11 Dec 2007 08:52:14 -0800 and has been classified as a Generic Scam Email. The sender shows as LLUCAS6@houston.rr.com, although that address was probably spoofed. We recommend that you do not attempt to contact any persons or organizations referenced in this email, as you may expose yourself to scammers and, at the very least, you will be added to their email address lists for spam purposes.